Tommy Agar Robartes Cornish LIberal MP for Bodmin then St Austell and heir to Lanhydrock died in action 30 September 1915. 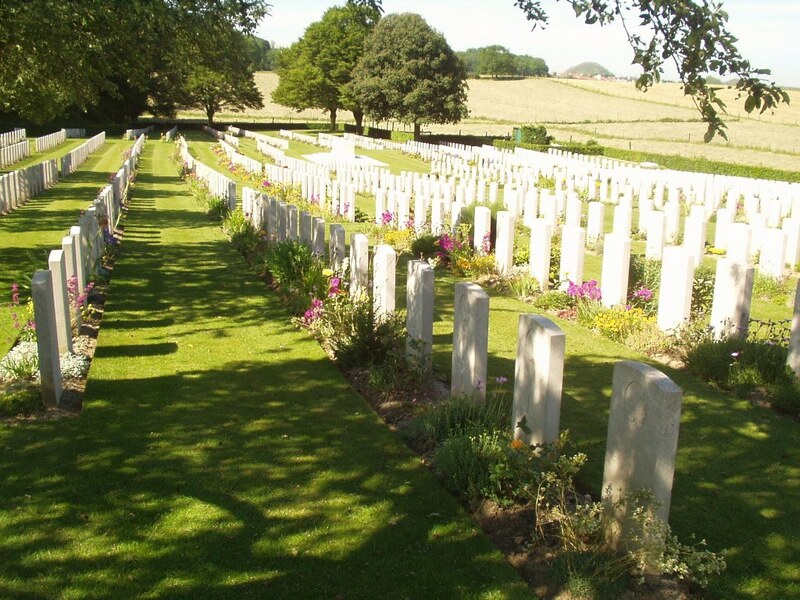 Amongst the first casualties to be buried in the cemetery which was opened in September 1915, Tommy is buried in Lapugnoy Military Cemetery, near Béthune. 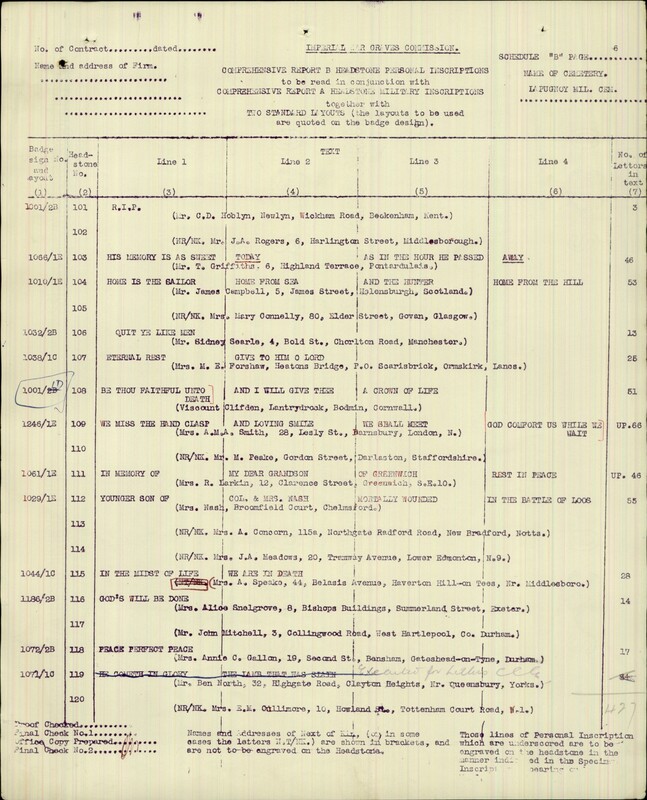 Looking through the casaulty list below just of his row, Tommy is an ‘Honourable’, high ranking officer and MP amongst sappers and privates, all with the same headstone, such is the democratic genius of Fabian ware and the early staff of the Imperial / Commonwealth War Graves Commission. “Be Thou faithful unto death and I will give thee a crown of life” – Tommy’s inscription from his family on his headstone. 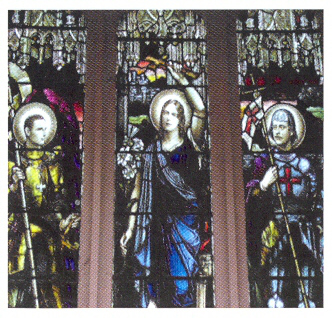 Tommy is also unusually commemorated in stained glass at St. Andrew’s parish church Wimpole and also http://www.iwm.org.uk/memorials/item/memorial/58472 pictured as a crusading knight with his friend Captain J. Wingfield at Church Norton in West Sussex. 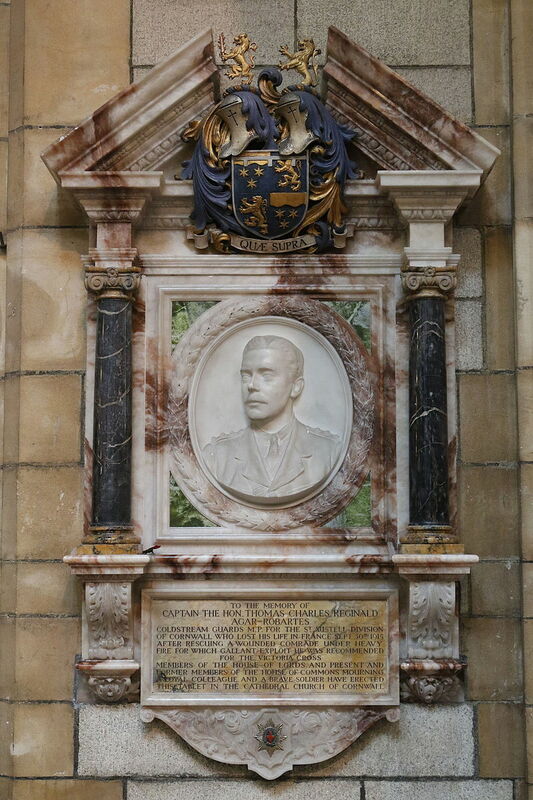 https://ukniwm.wordpress.com/2012/12/10/portrait-window-memorials/ He is also remembered at Christ Church Oxford and Eton College. Had Tommy lived, he would have become heir to the Lanhydrock estates and lands including Devoran. Instead it was his younger brother Francis 7th Viscount Clifden (1883 – 1966), who later succeeded their father in the viscountcy on his death in 1930. When his successor, the youngest brother Arthur Victor Agar-Robartes died, this was the end of the line. 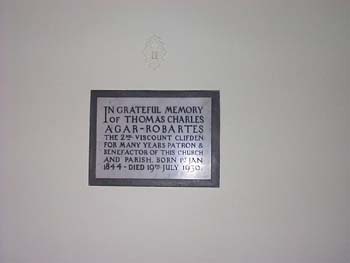 Tommy’s father was Thomas Charles Agar Robartes 2nd Viscount Clifden (1844-1930) and is remembered in a plaque on the wall at Devoran Parish Church – “For many years a patron and benefactor of this church and parish”. Looking at his portrait on his Wikipedia entry, this Thomas (Tommy’s father) is I think the elderly man photographed donating the Devoran War Memorial Recreation ground to the people in 1919. No doubt Thomas ‘The Lord Robartes’ he would have thought of his son and his many tenants affected by the war. Had Tommy lived, he would no doubt have been alongside his father at this dedication ceremony. “A trunk containing the military and personal effects of a British officer killed in action during the first world war, was carefully packed away in an attic in Cornwall by his grief-stricken mother, after he died saving an injured comrade in the First World War. In 1999, the belongings of Captain Tommy Agar Robartes were found perfectly preserved after gathering dust for 84 years in the attic of his former home, Llanhydrock House in Cornwall. “National Trust property manager, Andrea Marchington, opened the trunk. 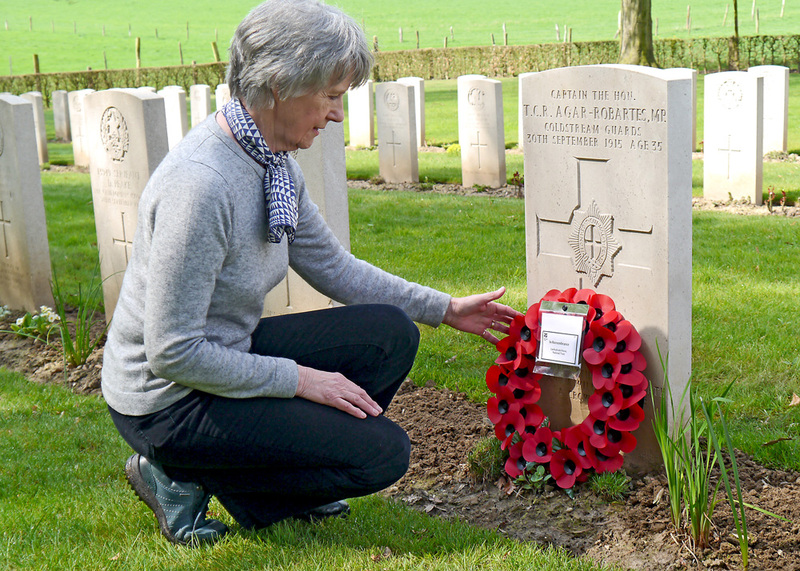 “Inside there were some of the things he used in the trenches. A trench periscope, a monocular, his sword, walnut talc holder, moustache comb, a tiny silver spirit lamp, and a little drinking cup inside a leather case, also made of silver. Everything beautifully made, each with its own case, and giving a rare insight into a serving officer’s life. This entry was posted in Cornwall, Devoran, war memorial, WW1 and tagged 1915, Cornwall, Devoran, Lanhydrock, Tommy Agar Robartes, WW1 on September 30, 2015 by worldwarzoogardener1939. "With The British Army in Flanders"